Randall R. Fearnow, Chicago, IL, Health Law Attorney. 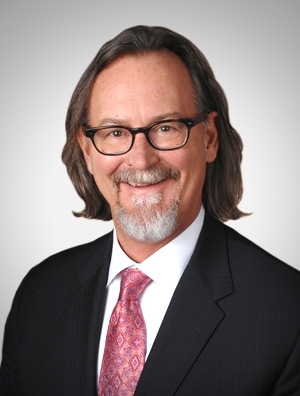 Randall Fearnow is the Chicago Office Chair of Quarles & Brady's Health & Life Sciences practice group. He concentrates his practice in the area of long term care. His experience includes many years representing the interests of long term care providers in state and federal trial and appellate courts. He often represents providers who have become the focus of state or federal audits or investigations or who face qui tam and civil false claims allegations. Randy worked in various capacities with the Indiana General Assembly from 1983 to 1998, including five sessions as Chief Counsel to the Senate from 1993 to 1998. From 1985 to 1987, he served as General Counsel and Vice President of Government Relations for the Indiana Health Care Association. He advises physicians, skilled nursing facilities, assisted and independent living facilities, home health agencies, transportation providers, pharmacies, and other health care companies on a variety of regulatory issues. He is a life member of the American Health Lawyers Association. Lead counsel in several cases establishing important precedents in Administrative Law. Trial and Appellate counsel in a case overturning an unauthorized state agency moratorium on the development of residential facilities. Class counsel on behalf of long term care providers in a series of cases establishing requirements for injunctive relief against the states. Lobbied successfully on behalf of the Indiana nursing home profession for coverage under the Indiana Medical Malpractice Act. Defended at trial and on appeal an order imposing increased Medicaid reimbursement for a long term care provider of specialized services for the developmentally disabled. Has represented pharmacy providers on reimbursement issues in state and federal proceedings.